A NOTE FROM OUR PRESIDENT . 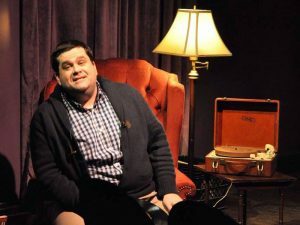 . .
Over the past year, Damascus Theatre Company has had produced some outstanding work. In June, 2016, we had sold out crowds of The Drowsy Chaperone at the Arts Barn (with multiple WATCH award nominations). We produced the ground-breaking Children of Eden in November at Olney Theatre, and recently wrapped up a successful run of Disney’s The Lion King, JR.
As we move forward we have two exciting shows to announce. In the fall of 2017, we will be returning to Olney for our 7th year as we produce Disney’s The Little Mermaid, which will feature a cast of all ages. In the spring of 2018, we will once again produce DTC Kids, with a show to be named later. We will end our season in June of 2018 with the heartwarming The Bridges of Madison County at the Gaithersburg Arts Barn. We hope to see all of our familiar faces and new friends this season! As we embark on 2017, I want to look ahead to the future. I have been a member of DTC since Joseph… way back in 2000 and have been involved in almost every production since. 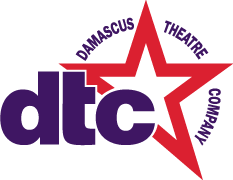 One thing that makes DTC standout from the other theater companies in the area is our sense of community and how we come together as a “village” and carry on the DTC Tradition! In my upcoming term as President of DTC I am embarking, with the board and the community, on a 3-year and 5-year plan. I will be outlining more information about this in the months to come and how we will continue to produce quality production and ensure that DTC will be around for another 30 years! Thank you for your continued support and if you would like to talk more about the plan for the future, feel free to email me!